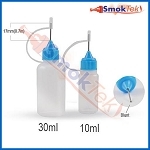 1.5 ml capacity with a pyrex glass tank - use any juice without fear! 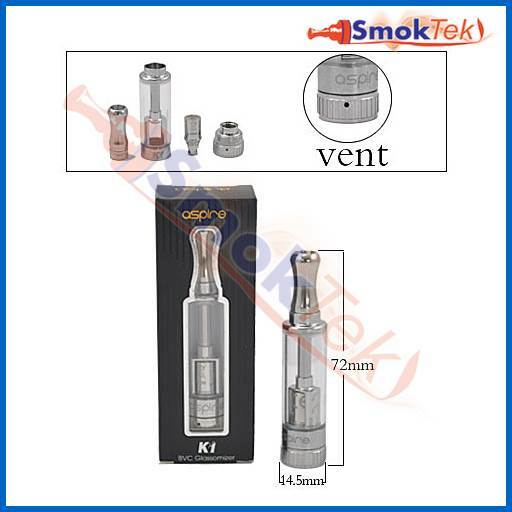 The Aspire K1 is a new generation clearomizer, which uses the Aspire Bottom Vertical Coil (BVC) technology. 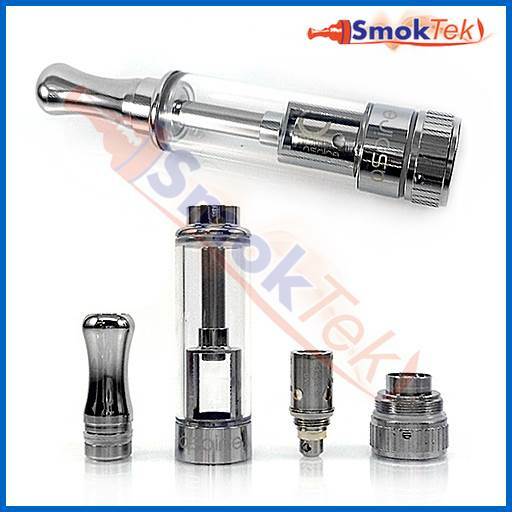 It is made of stainless steel with a pyrex glass tank, allowing you to use any juice without fear of damaging the tank. 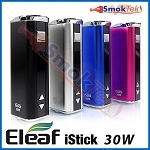 It has 1.5 ml capacity and is easy to fill or replace the coil. The Aspire BVC coils have improved longevity, and ensure clean flavor from your e-liquids and lots of vapor. 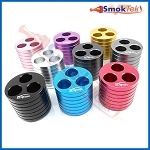 To change to coil, simply unscrew the base of your Aspire K1, unscrew the old coil and screw in a new one. 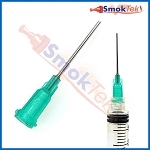 To fill, tilt at a slight angle and fill with 1.5 ml of e-liquid (be careful not to drip any e-liquid down the center tube, that is for airflow). Screw the base back on and set aside for a few moments to allow the coil to become fully saturated. 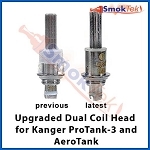 Please note that the Aspire K1 is only compatible with these Aspire BVC coils, and NOT with the Aspire NAUTILUS BVC coils. The Aspire K1 is 510/eGo threaded and will work great on eGo batteries! 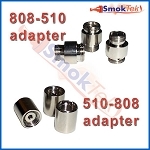 To use with 510 devices, you will need an eGo-510 connector. 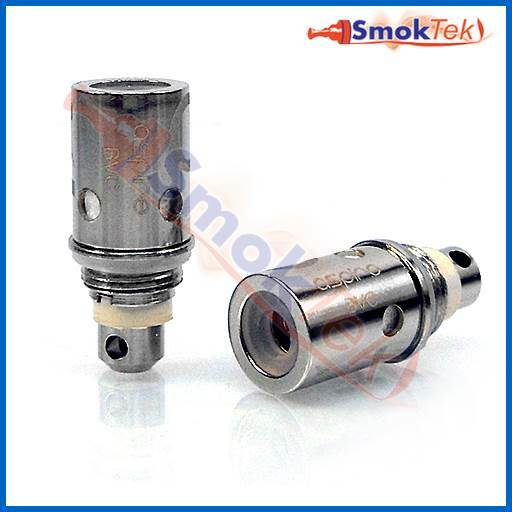 The Aspire K1 features a removable 510 drip tip. The Aspire K1 comes pre-installed with a 1.8 ohm coil - recommended voltage range is 3.7-4.5V. The Aspire K1 tank/clearomizer, call it whatever you want, is a pretty good little device. It produces almost as much vapor and throat hit as my duel-coil iClear 16s, and the K1 is a single coil (bottom, vertical coil) unit. Plus, it has a glass tank, so that is nice. It's sturdily built, pleasing on the eyes, and only costs 3 or 4 bucks more than a plain-Jane clearo with a plastic tank. Well worth the money. The ONLY reason I'm rating this 4 stars out of 5 is becuase the middle stem (or whatever it's called) wasn't made long enough, so you can only fill it with e-liquid slightly past the half-way point, max. I can't quite figure out the logic(?) behind that, but it's my single (and only) complaint with it. 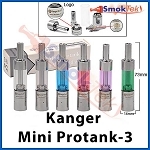 It definitely outperforms my Kanger Mini Protank, and the coils don't give off a burned taste like the Mini Protank does after a day or so of use. I've been using the K1 for well over a month now, rotating it with my iCear16s, and have yet to experience a burned taste. I would definitely recommend it. 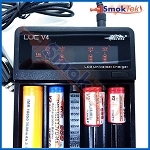 This is a very good tank for people that are new to vaping. 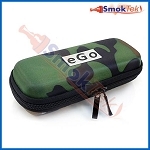 It is easy to fill and you get a good strong vape from it. 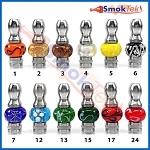 Q: I need 2 pyrex glass things for the 1.5 ml aspire k1 do you have any left? I broke mine and need an extra one.. 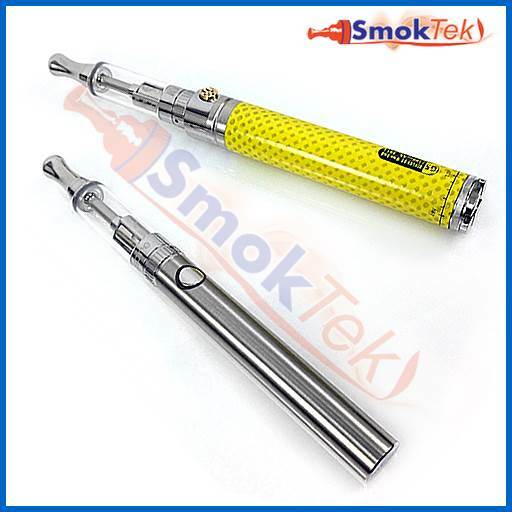 I'm sorry to hear that the glass broke on your Aspire K1 Clearomizer. 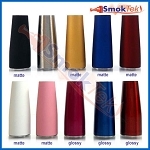 We do carry the replacement glass for the Aspire Nautilus and the Aspire Nautilus Mini, but we do not carry the replacement glass for the Aspire K1 Clearomizer. At this time, they are not available from our suppliers. I'm glad to help here. 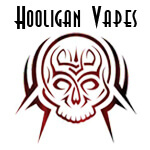 I'm posting a link to the Aspire Vertical Coil Replacement Head for Aspire K1/CE5 below. Q: what size replacement coil does this take? We're glad to help! 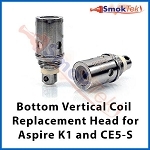 I'm posting a link to the Aspire Bottom Vertical Coil Replacement Head for Aspire K1/CE-5. 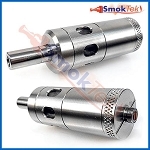 It's smaller than the Aspire Nautilus Bottom Vertical Coil Replacement Head. 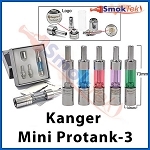 Q: Do you sell replace ment glass for the Aspire K1? I dropped it and the glass broke and I see you have a waiting list for the new take set up. I'm really sorry that the glass broke on your Aspire K1 Clearomizer. 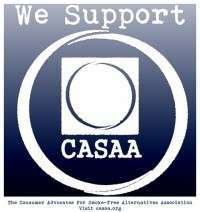 To our knowledge, Aspire does not make a replacement tube for the Aspire K1. We should receive our shipment of Aspire K1 Clearomizers next week. 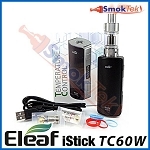 We do have the Aspire CE5-S Clearomizer in stock, and it uses the same coils as the Aspire K1. I'm posting the link below.